While preparing to welcome home Firefighter Kevin O’Toole on April 21st, the Bethpage Fire Department was toned out for a house fire. The ceremony was held at Station 4 [the corner of Stewart and Pine] and the reported fire was only a few blocks away at 9 Audley Circle [with Allan Gate as the cross street]. When Car 5, the Captain of Company 4 and OIC, arrived on scene he transmitted a working fire as he had smoke showing from the residence. Engine 5 was first due and immediately took to a hydrant and put two lines into place. The first of these lines was put into operation while the other stood by. Rescue 3 operated as the first due truck on scene with Engine 932 assisting them. Engine 7 and Plainview Engine 9511 were the second and third due engines on scene respectively. 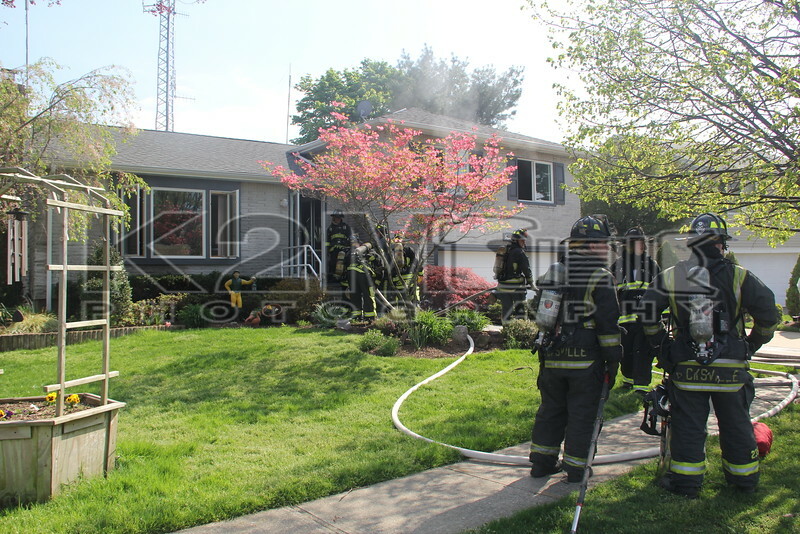 The fire was contained to one room in the home without heavy extension. After units took up they returned to Station 4 to spend time with their reunited brother.